There’s plenty of beautiful places in Portugal. The ones where you stop and stare at their beauty, others where you feel speechless or the ones where you wish to move in. The soutern coast of Portugal – Algarve – it has them all. 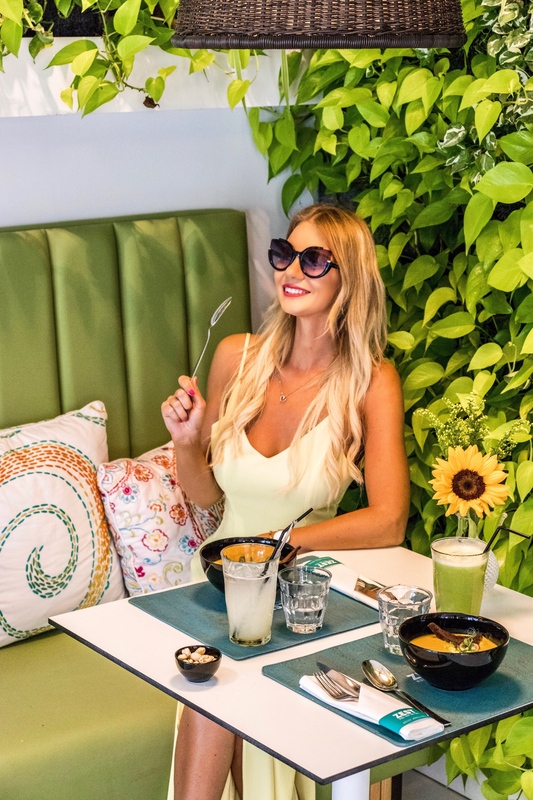 The alluring coast of Algarve offers everyting our soul and body needs – breathtaking cliffs, golden beaches, scalloped bays, and well – delicious food – straight from the sea. 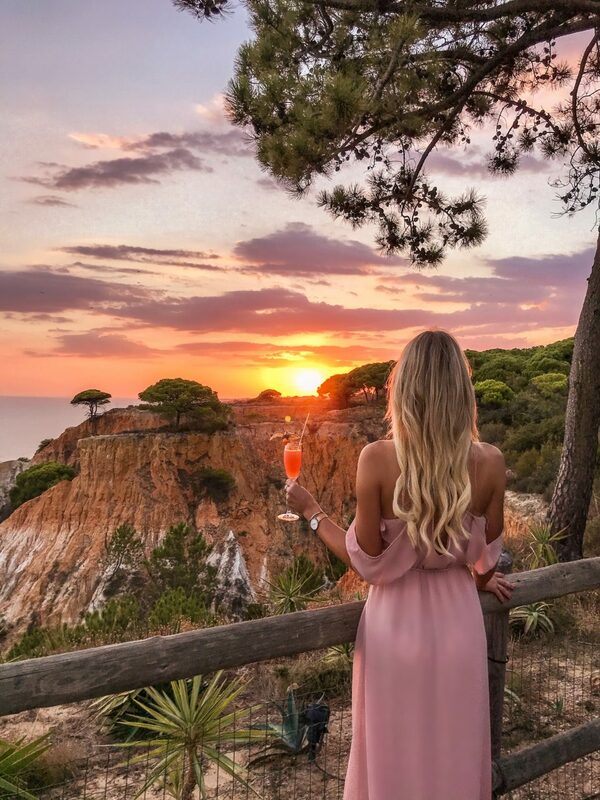 Algarve quickly soled itself as a perfect holiday destinations, also for those who’re seeking the luxury – with an amazing choice of golf fields, 5* resorts and fancy restaurants . Although the beaches are stunning, the Atlantic Ocean is not the warmest keeping the waters in let’s just say – refreshing temperatures. 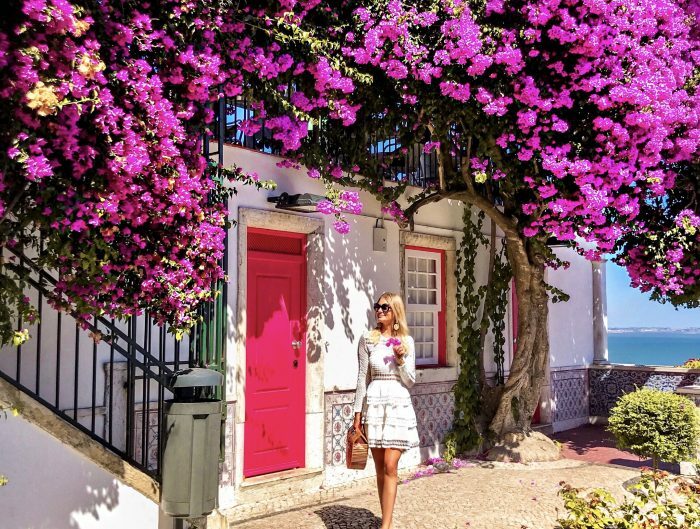 Looking back at the history Algarve got its name from arabic conquistadors who called it “al-Gharb al-Andalus” which means – Sunset of the Andalusia, in fact – in very beginning they were calling Andalusia all the Iberian Penisula. But, enough with facts. You can hear and read a lot of incredible opinions about the place, but you’ll only make your own once you see it yourself. For me it was already a second time in this paradise, I fell in love at first and knew that I have to come back. We had prepared a very tigh schedule, hoping to see all the most important places during 4 days. 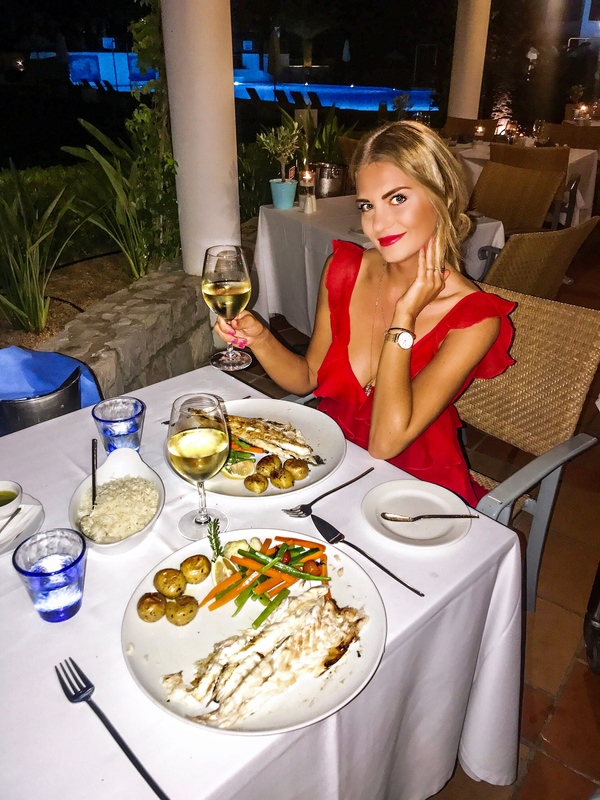 Our plans have slightly changed once we arrived to our hotel… Pine Cliffs Resort The Luxury Collection – exquisite hidden jewel with a spectacular, prime seafront location…Oh man, what a dream! 😍 The resort is very luxury but at the same time kept in a typical portuguese style what I personally loved! The first thing what caught our attention was their garden…A lush paradise with all the species of the plants of the world and flowers with all the colours of the rainbow😍 We could see the blues of the sea somewhere in the depth of the trees, but the size of it made it impossible to have any idea where it actually ends! Turned out that Pine Cliff covers is 72 hectares landscaped setting – wow! Several accomodation options, golf field, tennis court, playgrounds for kids, shops, Serenity Spa, 7 swimming pool, 11 restaurants & bars and a private beach club… yes you can easily get lost! We’ve wanted to experienced everything (which we obviously haven’t as it was totally impossible) so we’ve rescheduled our plans and decided to spend more time in the hotel. 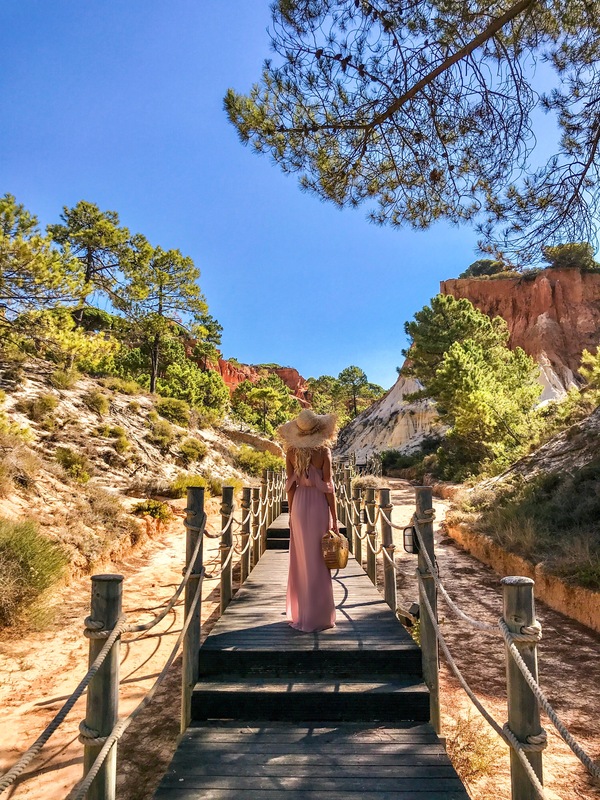 Pine Cliffs is located close to Albufeira and directly over the Praia do Falesia – beautiful beach famous of its red rock cliffs. It was actually pretty interesting cause to get to the beach we had to take a lift down from our view point – terrace (personaly my fave and the most romantic place in the whole resort) and then walk through something what in my head looked totally like an american canyon! The way led us to the private beach club were we could lay, relax and take sun. Lucky us – the weather was perfect these days so we were just smoothly relocating ourself from the sea to the pool (on of them) and back… Ahh, good times! Another highlight of the hotel is the new open Serenity Spa -The Art of Well Being! 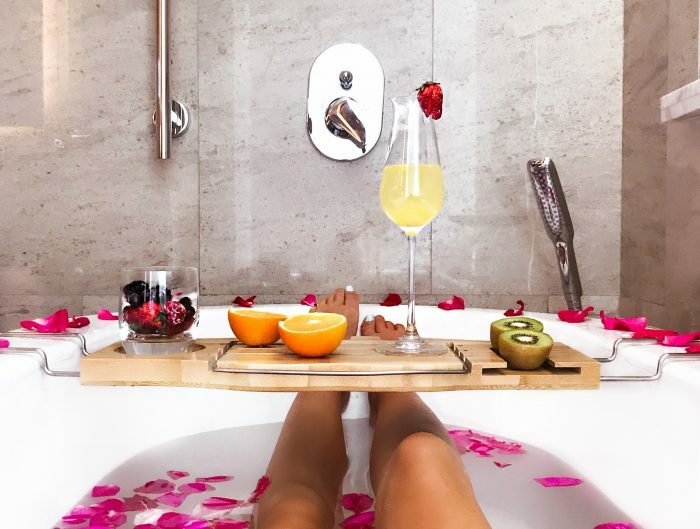 I swear – a heaven of wellness seemed to be the whole spa village! Serenity Spa offers 13 treatment rooms, comprehensive Serenity Thermal Oasis and the sensational signature Serenity Aurum Suite. 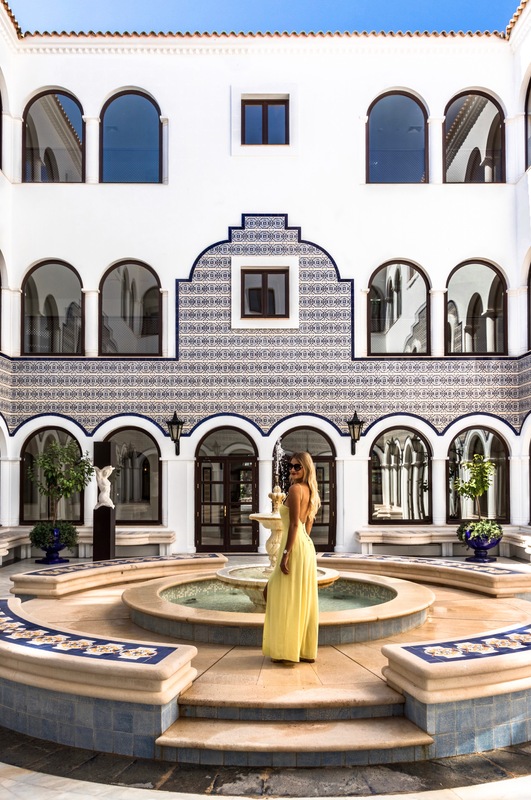 Serenity Spa use some of the world leading spa products as well as authentic signature treatments drawing inspiration from the indigenous healing traditions and ingredients from Algarve. I’ve seen many spas around the world and I need to admit that this one made on me a huge impression! It’s a perfect place for a moment of a full relaxation and rejuvenation. You might be surprised but we’ve still managed to explore amazing parts of Algarve, but more about it – in my next post!